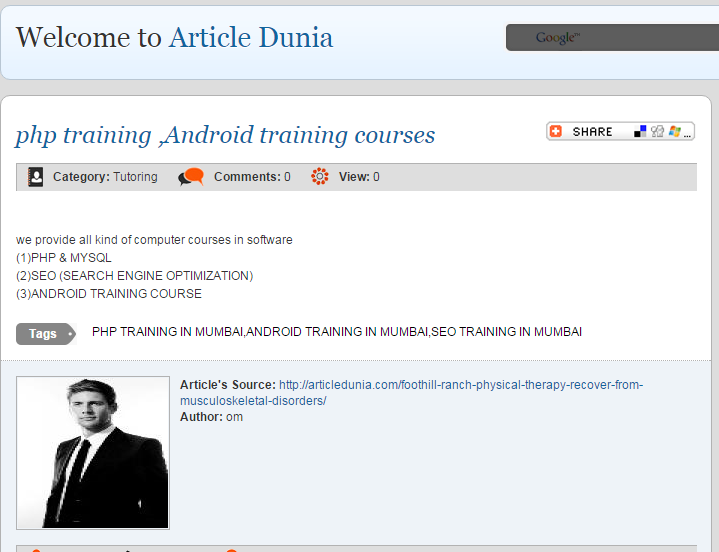 A web directory or link directory is a directory on the World Wide Web. A collection of data organised into categories It specializes in linking to other web sites and categorizing those links. 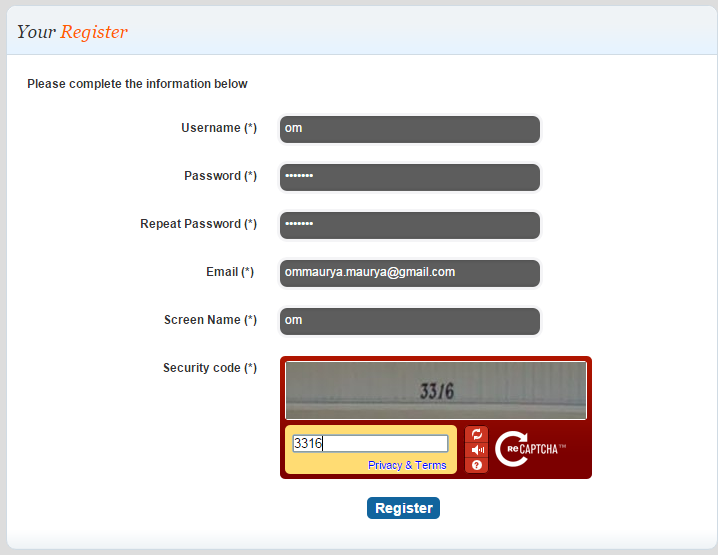 (2) then you will get message to make login. (4)then it will ask for your Main Category & Sub Category select your categories. 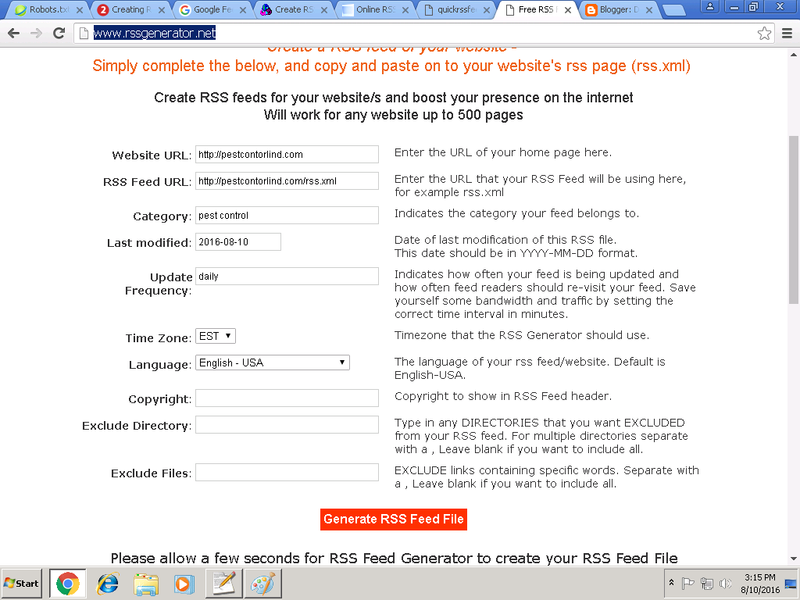 then you will ask for enter title for your article,Article summary,Article Body, and Article keywords.. enter all the details..
RSS feeds contain what are referred to as "items". The items are usually connected in some way and contain a common theme or other similarity. The following feed http://www.notepage.net/feed.xml contains items. The items are all SMS and paging related news articles that would likely benefit someone interested in the wireless market. The title and description should be written to describe the content and the link should reference the webpage that contains that actual content. 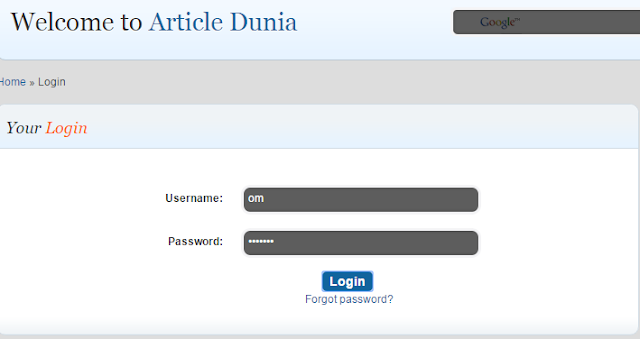 Like html, the xml file uses open and close tags to designate the title, description and link. 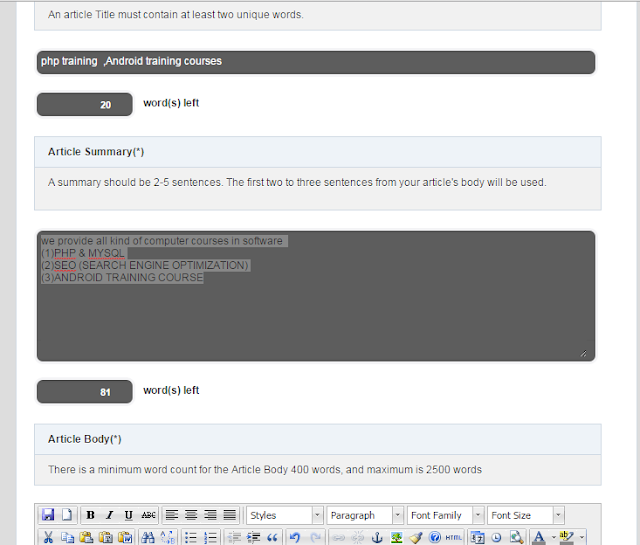 Tags are enclosed in brackets <>, like standard html and the close tag contains a forward slash /. 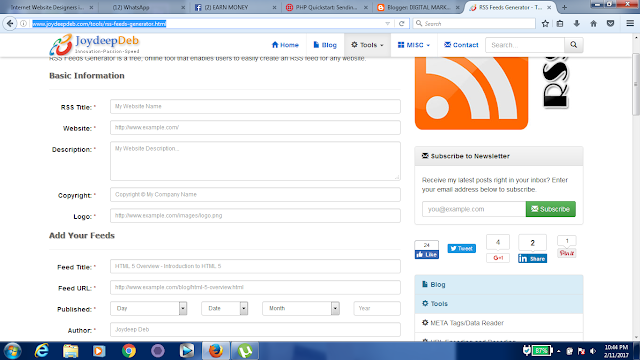 As I mentioned earlier, an RSS feeds contains items and like the tags above, an open and close tag is used to distinguish between items. Now an RSS Feed is a series of items, these items are chained together to create what is called a "Channel". The Channel appears at the top of the file and tells people how the items relate to each other. Like items channels use title, description and link tags to describe its content. 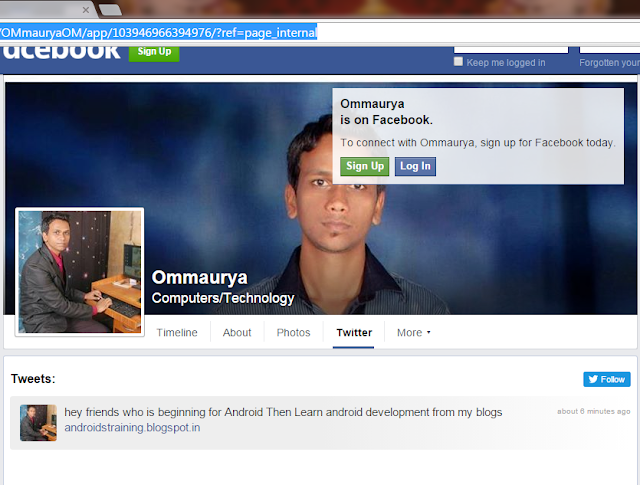 The open channel tag <chanel> occurs before the first item and the close tag </channel> occurs after the last item. 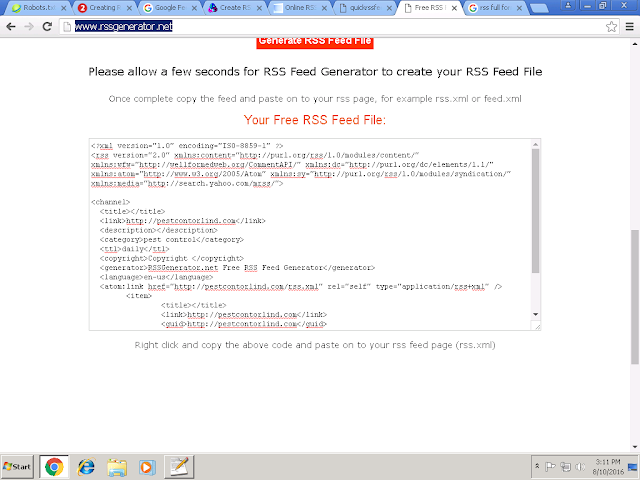 Finally you will need to designate the file by indicating it is an XML file by inserting xml and rss defining tags at the beginning and </rss> at the very end. When you save the file be sure to save it as an xml file. If you've made it this far you are in good shape it is time to "syndicate" your content! 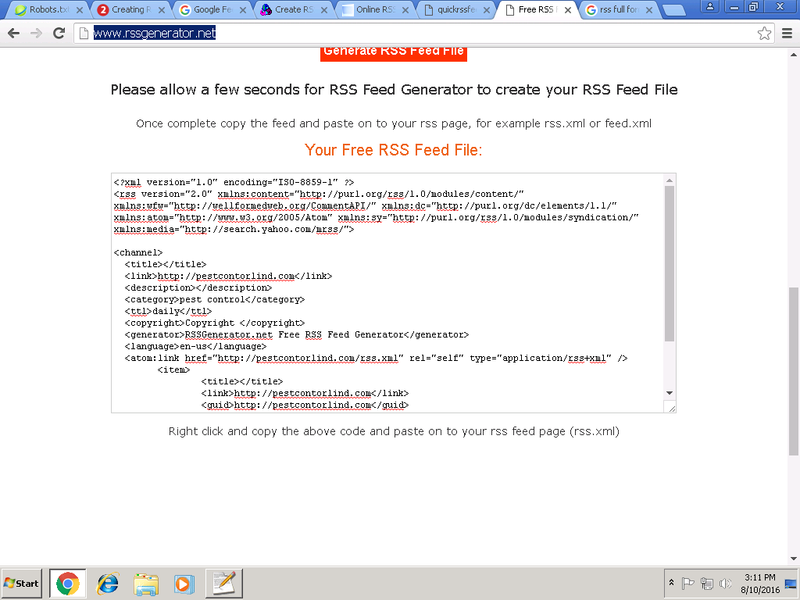 Submit your RSS feed (the xml file you created) to sites just like you would submit a web page. 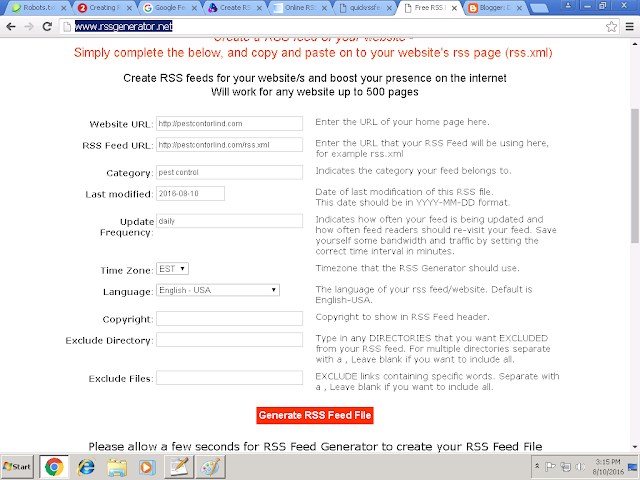 Some of the more popular sites that accept RSS files can be found under on RSS Specifications. You can link your profile or Page to your Twitter account so that you can share your Facebook posts on Twitter. After you've linked your profile or Page, you can choose the types of posts (ex: status, photo) that you want to share on Twitter. 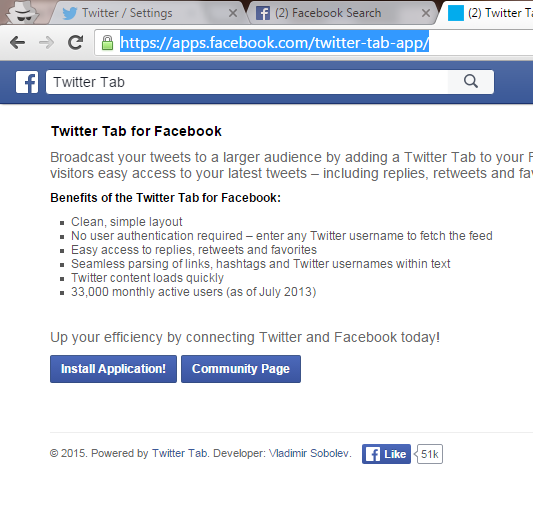 3. after click on link to twitter it will ask for twitter login to Authorize app enter your twitter username & password & click on Authorize app. 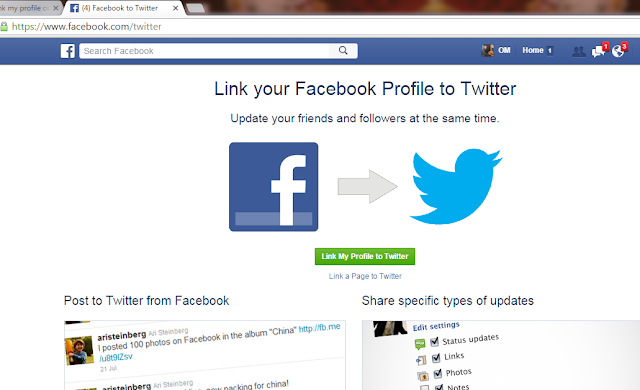 4. finally you will get message that you facebook page is now linked to Twitter..
5 . now make post on your facebook page which will you see on your twitter ..
1. Log in to the Twitter account you want to associate with your Facebook profile. 2. Go to your Settings menu's Apps tab. 3. 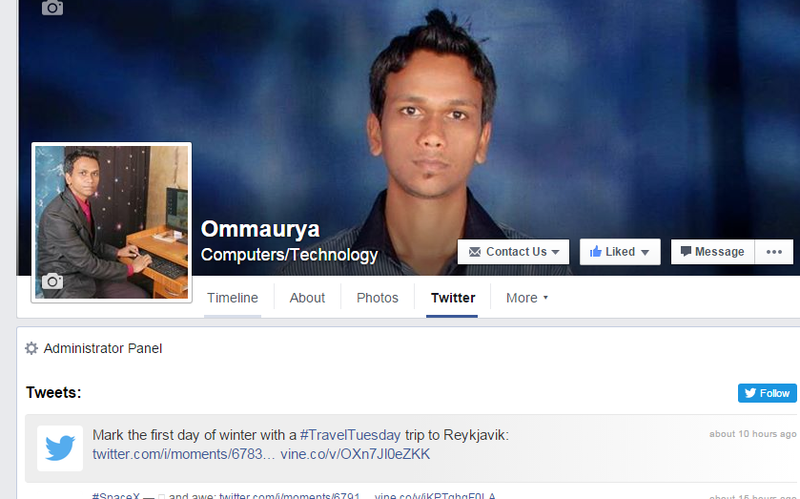 Click Connect to Facebook. 4.If you are not already logged in to Facebook, then you will be prompted to enter your Facebook login credentials. A list is a curated group of Twitter users. You can create your own lists or subscribe to lists created by others. Viewing a list timeline will show you a stream of Tweets from only the users on that list. Note: Lists are used for reading Tweets only. You cannot send or direct a Tweet to members of a list, for only those list members to see. 1. Go to your Lists page. This can be done via the profile icon drop down menu in the top right navigation bar or by going to your profile page and clicking on Lists. Note: List names cannot exceed 25 characters, nor can they begin with a number. 1. Click the gear icon drop down menu on a user's profile. 3. 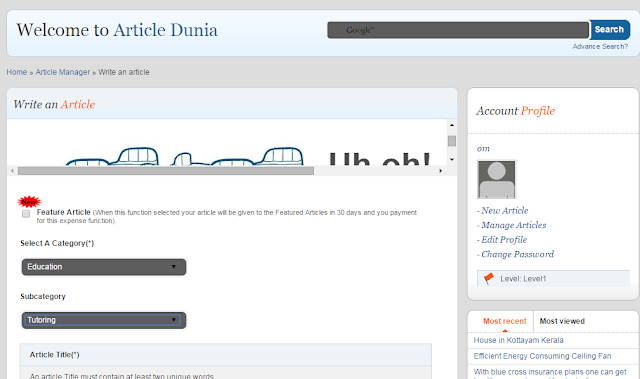 A pop-up will appear displaying your created lists. Check the lists you would like to add the user to, or uncheck the lists you'd like to remove the user from. 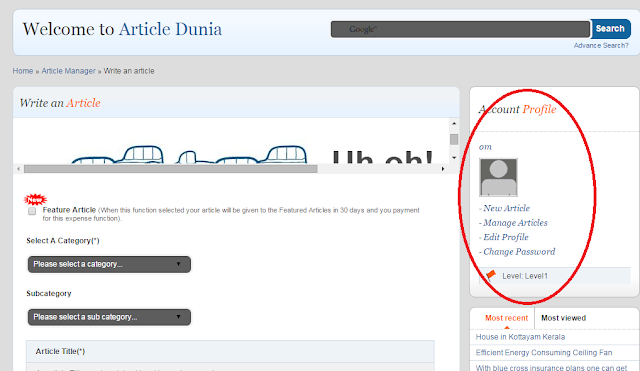 · On your Lists page, click on Member of. This will show you what lists you are on. 1. Go to the list you'd like to share. 4. Paste the URL into a message to anyone with whom you want to share the list.